Sears Holdings Corp. announced Monday that it is closing this Kmart store in Madawaska by year end. MADAWASKA, Maine — Sears Holdings Corp. announced plans Monday to close 142 unprofitable stores across the country, including the Kmart in Madawaska, as part of its effort to restructure financially under bankruptcy proceedings. The Madawaska Kmart is the only store in Maine being closed in this round of bankruptcy closures, according to a list posted on the Sears Holdings Corp. website. The website indicates liquidation sales at these stores are expected to begin shortly with the closures to be completed by year end. Loss of the Kmart will leave the entire shopping plaza off Main Street vacant after owners of the adjacent shopping center in August notified the remaining tenants of that facility they needed to vacate the premises. Those owners indicated they had lost four major commercial tenants and could no longer afford to make needed repairs and maintain the shopping center. 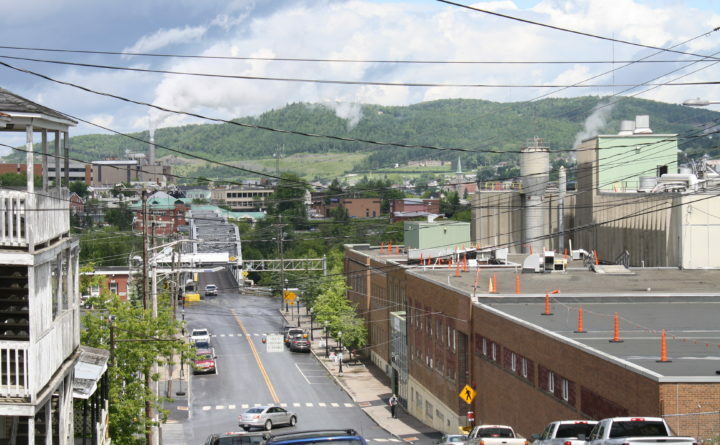 Town Manager Gary Picard said Monday that the town was saddened to hear the news about Kmart, though “not surprised” as the town was aware of the struggles with the holding company’s pending bankruptcy. Picard said that the building Kmart is currently operating out of does not belong to Sears Holdings Corp., but is owned by Seritage Financial, which contracted a lease with Kmart that is not set to end until 2025. The bankruptcy, however, will give Kmart the ability to get out from under that lease, according to Picard. The town manager added that the community does not own any of those buildings and the owners of the structures still have to continue to pay taxes. “As long as there is a structure there, there are taxes that need to be paid,” he said. 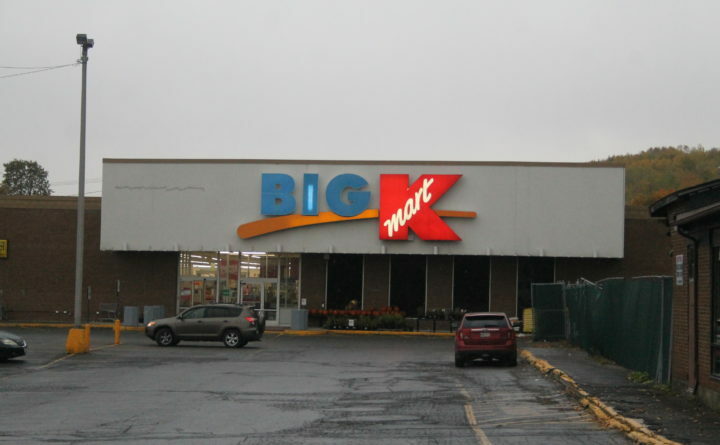 Both the shopping center and Kmart building have been on the market for a few months now and, according to Picard, town officials already have begun discussions on how to handle the closure of Kmart and what they are going to do to redevelop that plaza. Rumors and hopes of other retailers such as Target coming into town began circulating on Facebook almost immediately. Picard said while the town, specifically former Economic Development Director Suzie Paradis, had “reached out to different retailers, like Target and other retail outlets,” this area doesn’t have the population — about 3,800 — to support a store like Target for them to want to move to Madawaska. The new executive director for the St. John Valley Chamber of Commerce, Jen Collin said Kmart was not a member of the chamber but that she felt for the people who are going to lose their jobs as a result of the closure. “Blame online shopping for taking away from our local small shops,” Collin said Monday. One local businessman and owner of My Brother’s Tattoo shop, Benjamin Lopez was at Kmart Monday afternoon as a shopper after he heard the news of the impending closure. “It’s one of those small town type of businesses that, even though it is a big business, it’s still for the little small towns and it’s leaving,” he said. “We don’t plan on sinking, we plan on swimming,” he said. Local Kmart manager Betty Nelson was unable to comment Monday and directed questions to the company’s website. The media contact for Sears Holdings Corp. could not be reached for comment. The Madawaska store closure leaves Kmart stores in Auburn, Augusta and Waterville, according to the Kmart website. Sears has two stores left in Maine, in Brunswick and South Portland, according to the Sears website. It has three remaining Sears Auto Centers in Bangor, Brunswick and South Portland. BDN writer Lori Valigra contributed to this report.